An owner who is passionate and well experienced (30+ yrs) in Early Childhood Education. We are a small family orientated centre (30 children) not a large institution. An outdoor area that inspires children's creativity and imagination. Natural resources while being complimented with technology. Gate Pa Preschool and Childcare centre is a place that allows children to grow and develop in a loving, secure and happy environment. We opened in October 2012 and continue to be excited to share our centre with families in the community. If you are interested in joining our family please feel free to stop in and take a look around. 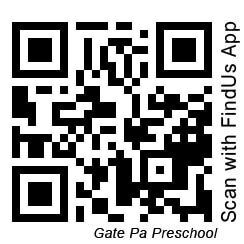 Gate Pa Preschool has a specialized baby teacher who is passionate about babies so we are willing to take young infants . Our centre only has 8 under two spaces in the baby room so special attention can be given to their individual needs and routines. We believe in keeping set teachers in the baby room so that we can develop strong relationships to support both parent and baby in their time with us. ​Our older children are catered for with teachers who are passionate about the different age ranges.